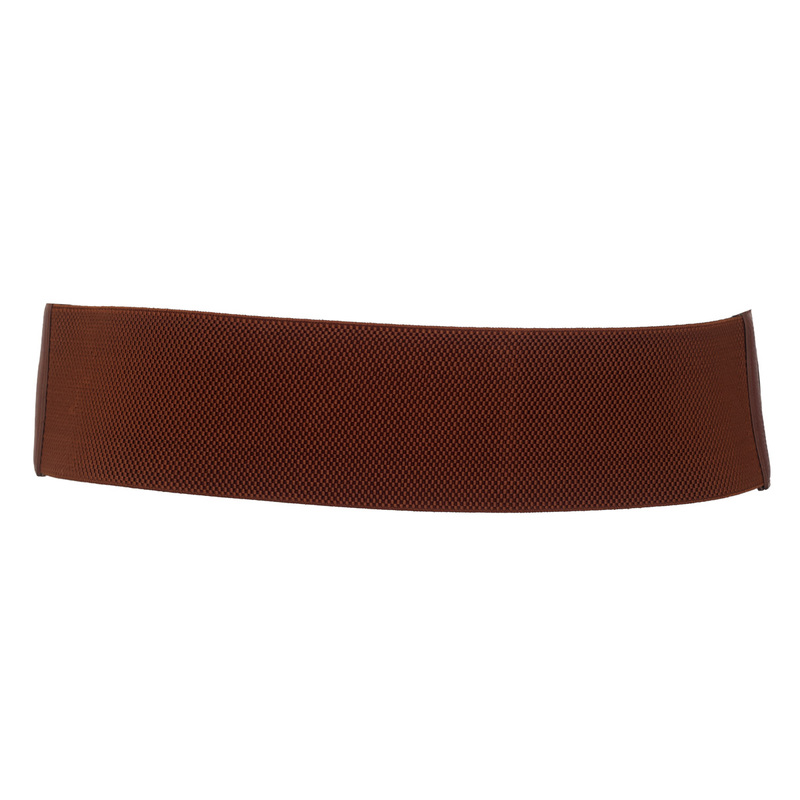 Dress up any outfit with this gorgeous elastic belt. 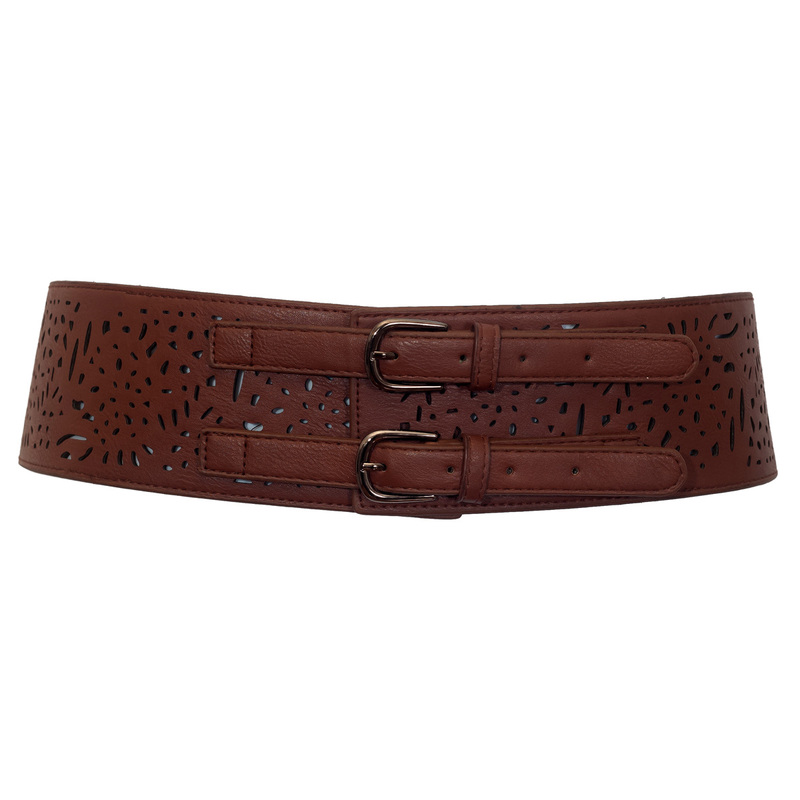 This plus size belt features beautiful carved faux leather design with dual buckle closure. This plus size belt will accommodate 34-40 waist line. Man made materials. Imported.